Dr. Seuss's birthday is the most widely celebrated birthday of a children's author which makes for a busy time of year for me! In the past I have celebrated with my family and with you, my readers. This year would be a little different. 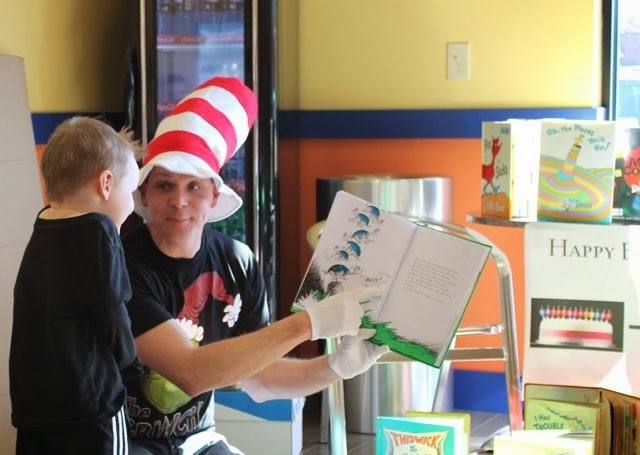 In addition to my family's celebration, I would be celebrating Dr. Seuss's birthday with families at public events and local elementary schools. I had some studying to do. Which books would I read? What activities would I do? 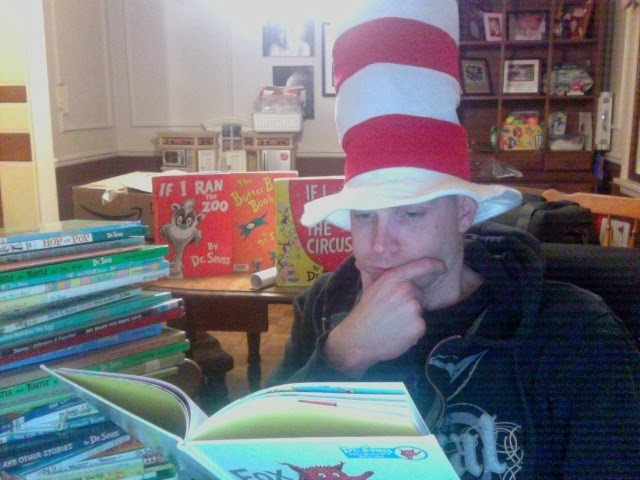 I spent many late nights preparing activities and brushing up on my Seussian tongue-twisters. All the events I was scheduled to read at were held before Dr. Seuss's birthday. 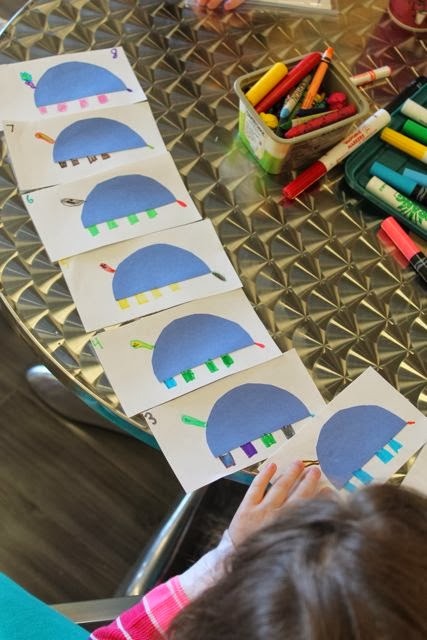 Therefore, I thought it would be fun for each child to make a Yertle the Turtle Countdown to Dr. Seuss's Birthday. 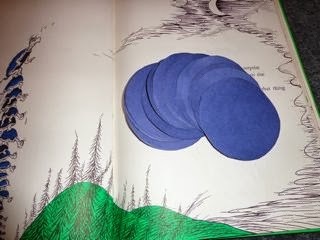 I cut out over 100 blue circles which I cut in half to make turtle shells. Then, I glued the turtle shells on pieces of white construction paper. 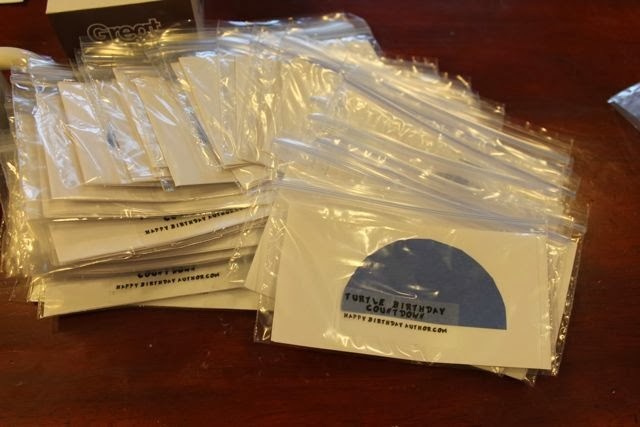 I was able to fit the papers into a snack-sized baggie which made this craft easy to distribute and for the children to take home. 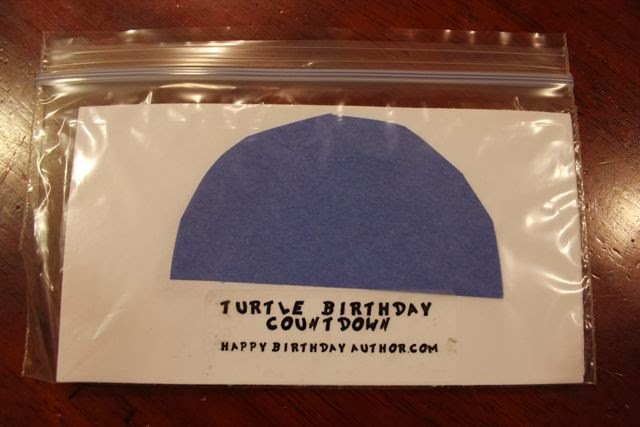 Each baggie had the number of turtle shells necessary to begin the countdown. 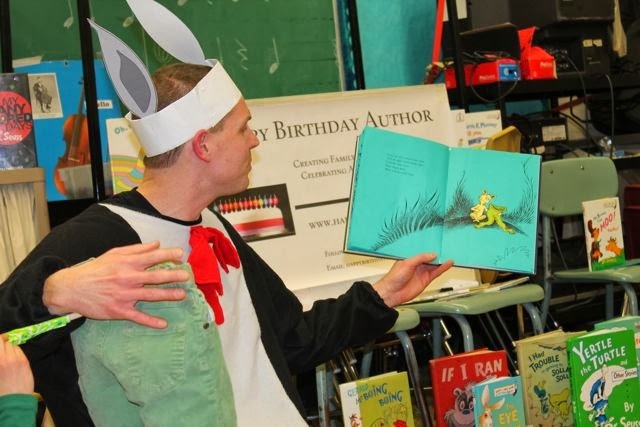 I had one event that was held eight days away from Dr. Seuss's birthday so there were eight turtle shells. Another event had four turtle shells in each baggie. Both worked out well! 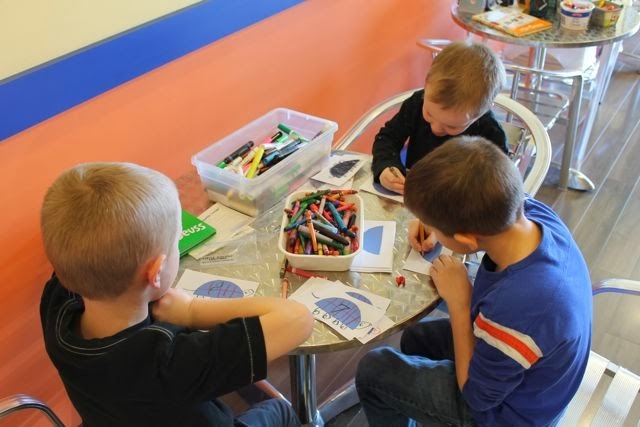 I had containers of crayons and markers for each small group of children. These were the only supplies they needed because I did all the cutting and gluing. I suggested to the families that they tape the countdown to their refrigerators at home. Every child's turtle-stacks were amazingly different. Some turtles were black with the blue shells, while others were colorful. Some wrote the numbers for their countdown really big on the turtle shells, while others wrote small numbers in the corner of each paper. All the countdowns turned out AWESOME! The kids loved listening to Yertle the Turtle. They loved Mack, the turtle that burped and sent the tower of turtles crashing down. One of my favorite parts of What Was I Scared Of? is when the little Seussian character has to run an errand to get spinach in Grin-itch and the pale green pants ride past on a bicycle. 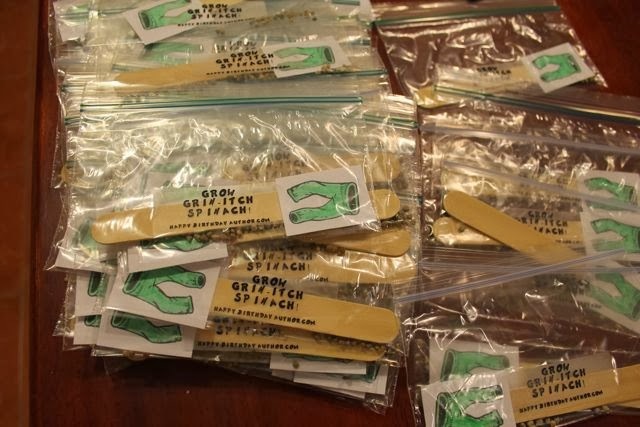 My family grew Grin-itch Spinach last year and I thought this would be a great activity for the families attending the events to do together at home. 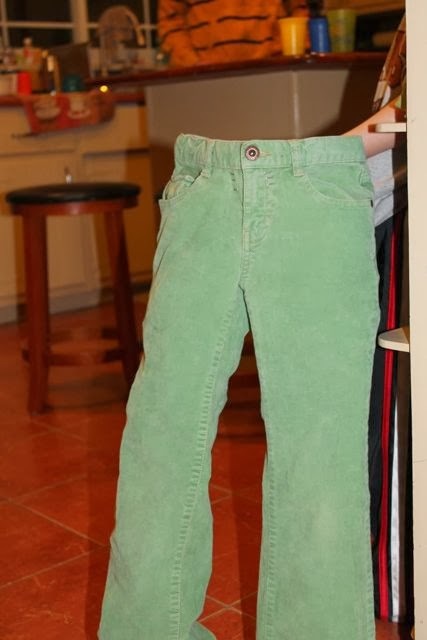 I drew a pair of pale green pants, scanned my drawing into the computer, and printed out a whole bunch of those pants with nobody inside them. 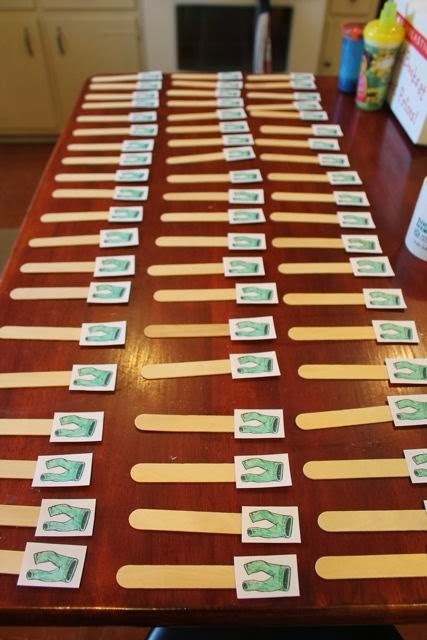 I colored them pale green, cut them out and glued them onto craft sticks. These would be seed markers that could be stuck in the ground to show where spinach seeds were planted or as a decoration in a pot. 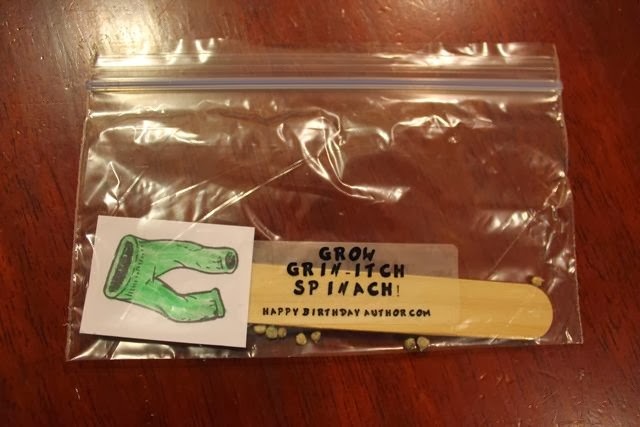 I placed the seed markers in a snack-sized baggie along with spinach seeds. I was able to get make 15-20 baggies from one packet of spinach seeds I bought from Lowe's. Spinach seed packets were only about $1.25 each which made this a very inexpensive craft to send home. That's a lot of Grin-itch Spinach! The reason I love What Was I Scared Of? so much is because of the pale green pants with nobody inside them. 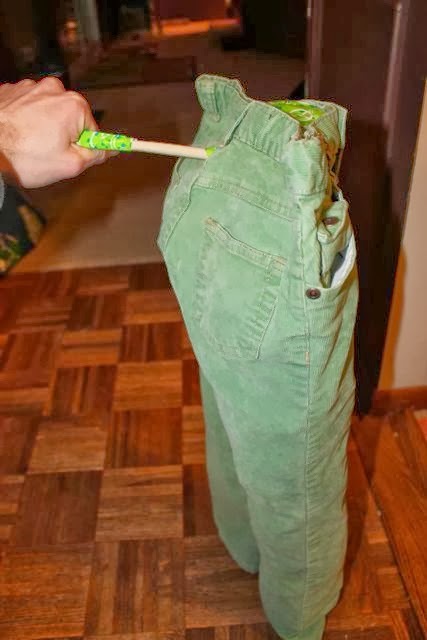 I highly recommend making your own pale-green-pants puppet if you are going to read this book to a large group of children. The pants-puppet allowed me to interact with the pants as I read which really brought the story to life. 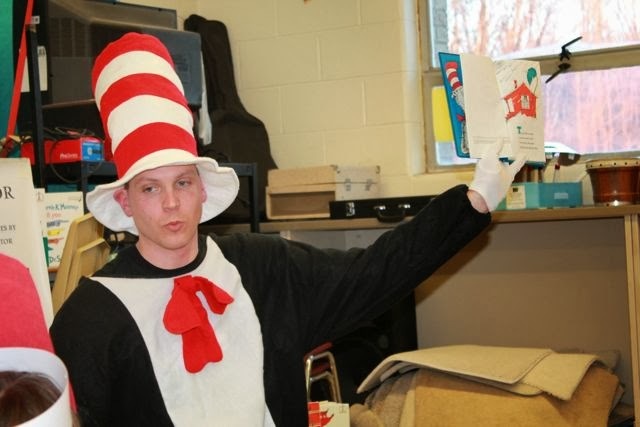 I was lucky enough to acquire a Cat in the Hat costume which was a big hit too! It worked out perfectly having Dr. Seuss's birthday fall on a Sunday this year. I was able to celebrate all last week leading up to his birthday, and I think I will continue to celebrate this week too. 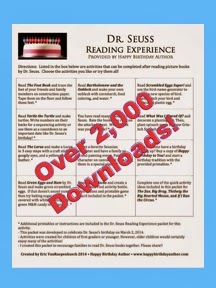 If you need ideas for your celebrations, please check out my Dr. Seuss Reading Experience which has been downloaded over 2,000 times on Teachers Pay Teachers! I have appreciated all the kind comments from teachers that have downloaded it! Click here to download or visit Teachers Pay Teachers!